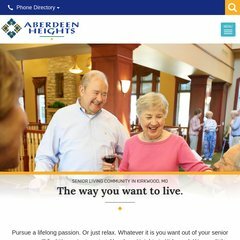 Topics: Living At Aberdeen Heights, Independent Living, and Countless Opportunities. Global Crossing (Arizona, Phoenix) is the location of the Microsoft-IIS/6 server. dns1.trabonsolutions.com, and dns2.trabonsolutions.com are its DNS Nameservers. The programming language environment is ASP.NET.